Structures don’t march in the streets. I work toward making the construction of reusable, trusted software components possible and effective. My research has spanned program analysis; semantics; verification and model-checking; security; logic; complexity; and algorithms. 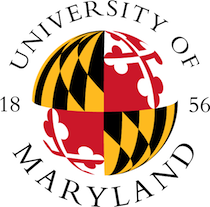 Together with Mike Hicks, I direct the laboratory for Programming Languages at the University of Maryland (PLUM). Previously, I’ve worked with the Programming Research Laboratory (PRL) at Northeastern University. 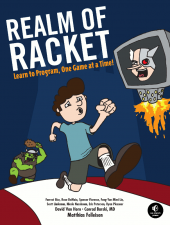 I co-authored the book Realm of Racket with Matthias Felleisen and undergraduates from Northeastern University, which introduces programming interactive video games. New paper: Size-Change Termination as a Contract to appear at PLDI'19. New paper: Type-Level Computations for Ruby Libraries to appear at PLDI'19. 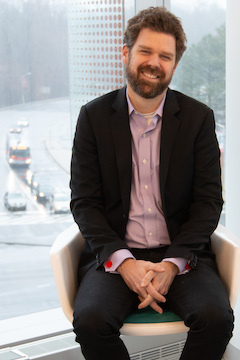 I received a 2019 NSF CAREER Award for Gradual Verification: From Scripting to Proving. Gradual Liquid Type Inference won a Distinguished Paper award at OOPSLA 2018! I'm teaching a new Terps Young Scholar course in Summer 2019: Make Your Own Video Games: An Introduction to Programming and Computing. I'm co-organizing PLMW @ ICFP, the Programming Languages Mentoring Workshop, co-located with ICFP 2019 in Berlin, Germany. I'm serving on the OOPSLA 2019 Review Committee. New paper: Gradual Liquid Type Inference to appear at OOPSLA'18 in Boston. New paper: Theorem Proving for All to appear at Haskell 2018 in St. Louis, MO. I served on the thesis committee Quentin Stiévenart's dissertation, Scalable Designs for Abstract Interpretation of Concurrent Programs: Application to Actors and Shared-Memory Multi-Threading. I'm co-organizing PLMW @ ICFP, the Programming Languages Mentoring Workshop, co-located with ICFP 2018 in St. Louis, MO. I'm serving on the Selection Committee for the Student Research Competition at both PLDI and ICFP 2018. My post-doc, Thomas Gilray, will be joining the faculty of the Computer Science department at the University of Alabama at Birmingham. New paper: Soft Contract Verification for Higher-order Stateful Programs published at POPL'18 in Los Angeles, USA.